Reacting to yesterday's news that popular Facebook game Mafia Wars is adding animals as weapons, the People for the Ethical Treatment of Animals requests developer reconsider, using Zynga founder Mark Pincus' own beloved pet as ammunition. Pit bulls, tigers, and lions are among a few of the animals that Mafia Wars, a social game that's proven extremely popular on Facebook, will be adding to the game next week. This of course doesn't sit well with PETA, an organization dedicated to making sure that animals are treated more like people, less like objects. According to the organization, complaints have already begun pouring in, and that's when they leap into action. Getting a little tired of simply gunning down your enemies in Mafia Wars? In a letter to Zynga founder and CEO Mark Pincus, PETA explains why the inclusion of animals like the pit bull in Mafia Wars is wrong. 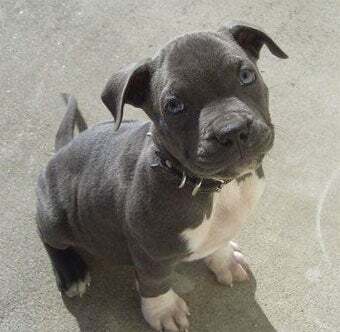 "'Bully breeds' like your beloved late American bulldog, Zinga, are also the breeds of choice for dogfighters and thugs who want a 'macho' animal to intimidate others, guard their property, or make them money by winning fights. Every day, PETA staffers meet dogs who have been trapped for years at the end of heavy tractor-trailer chains with nothing but bare patches of dirt and plastic barrels for shelter. These dogs are usually full of heartworms, emaciated, and scarred all over. They are often physically abused and starved, sometimes to death, for losing in illegal dogfights or for being 'bad guards' or 'not mean enough.' The people who acquire them do so because they have been taught that having one of these dogs is 'cool' and 'tough,' but they have no idea about the care and feelings of the animal they have enslaved." Notice the opener there? Appealing to the founder's love for the late pet he named the company after is a low blow. A crafty blow, but definitely aimed below the waist. The letter ends with a plea to remove animals from Mafia Wars. Will it happen? I'm doubtful, but PETA played their part in opposing it, and that's just what they do.